They’re not carved in stone, but accounting professionals tend to agree that these guidelines can improve the speed and accuracy of your payments – both incoming and outgoing — through QuickBooks. Old habits are hard to break. Once you start doing something one way, it can be hard to change course. There has to be a reward, a reason for altering an existing approach to a task. 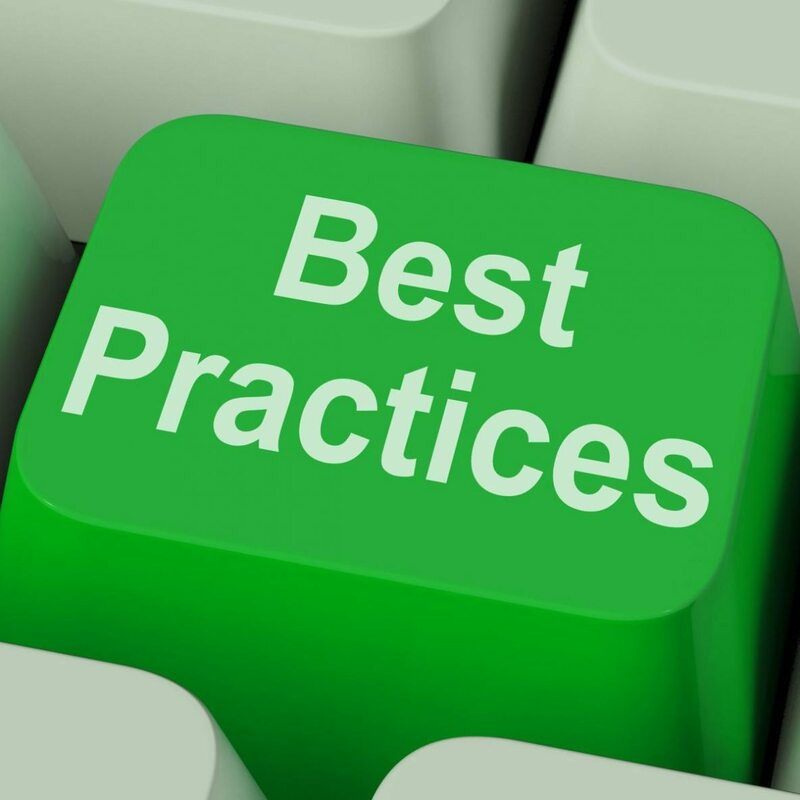 In the case of QuickBooks best practices for payments, the rewards are clear. Your cash flow will improve. You’ll save time, which saves money. You’ll minimize late fees and poor credit. You’ve probably incorporated some best practices into your business already – especially if you’ve had any QuickBooks training. They aren’t hard-and-fast rules: Many are just common sense. Here are some of the best practices that we recommend you incorporate into your workflow. Annotate everything you can. Whether or not the IRS ever audits you, you should be including descriptive details wherever you can, unless there’s no reason that you’d ever need a reminder of why you made a specific deposit or created a sales receipt or wrote off an outstanding balance. Use subaccounts whenever possible. It will make reports more precise. Take advantage of the tools available for electronic financial processing. Get a merchant account so you can accept credit cards and eChecks. Scan checks for immediate deposit. Let customers pay online by including a link in invoices. Get set up for accepting payments when you’re out of the office. We can help you set up the solutions that make sense for your business. Password-protect your QuickBooks file, even if you’re a sole proprietor. You’re out of the office or occupied with something else sometimes, aren’t you? Unless no one else ever comes in and you lock your door every time you leave, secure your data. Those easily-accessible processes you’ve set up to pay and be paid can be used by an unauthorized individual. Be smart – and frugal – when it comes to expenses. Make sure that any employee who has the ability to write checks, approve expenses or make any kind of payment through QuickBooks has the same mindset. You might want to consult us when you’d like to spend more than, say, $2,500 on something that’s not a regular, recurring expense. We can help you consider the tax implications, the potential ROI and, in some cases, depreciate the item(s). Cross-train your accounting staff. This both ensures that critical work always gets done and can expose unauthorized payments. Be diligent about billing and collections. When you have established good relationships with customers, it’s tempting to want to help them out by extending credit or delaying due dates sometimes. Save this generosity for extreme cases. Set up a report schedule. You probably run some reports as needed, but it’s critical that you customize, create and analyze basic financial reports on a regular basis. Many reports in QuickBooks are self-explanatory, but it takes a trained eye to spot trouble brewing in, for example, Profit & Loss, Balance Sheet and Statement of Cash Flows. We can help you determine which reports you should be looking at yourself and which you should have us assemble periodically. Flag potential IRS Form 1099 contractors when you create their records. It’s so important that you create and dispatch 1099s to everyone who is eligible that QuickBooks has a built-in tool for doing this. If you want to have a more comprehensive understanding of payment best practices, talk to us. We can do some one-on-one training and/or help you find resources. QuickBooks is easy to use, but its advanced features may require explanations and practice. And you’ll find it even easier to use if you learn the theory and concepts behind the step-by-step procedures.